The Streamlight Twin-Task 3C flashlight offers three powerful illumination modes, giving you the versatility that you need to solve a wide range of problems. The single C4 LED has a lifetime of 50,000 hours and features a textured reflector to produce a tight, even beam with a piercing hotspot for picking out targets. It also features six ultra-bright LEDs with a 100,000 hour lifetime for area lighting. 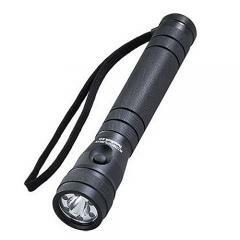 The flashlight can be toggled between using all six for bright illumination, or only three for a longer runtime. The light features an almost unbreakable polycarbonate lens and is impact tested at one meter. It also has O-ring seals at all openings and is IPX4 rated for water resistance, making it suitable for use in all weather conditions.